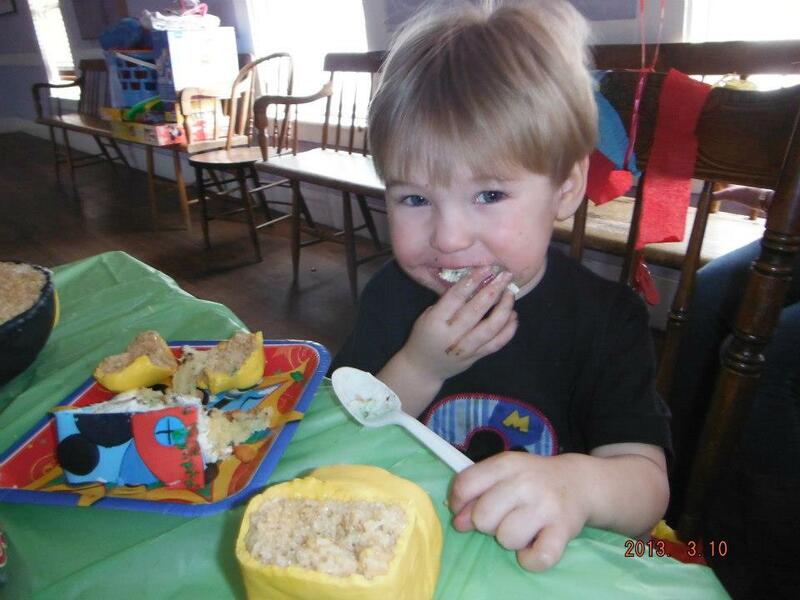 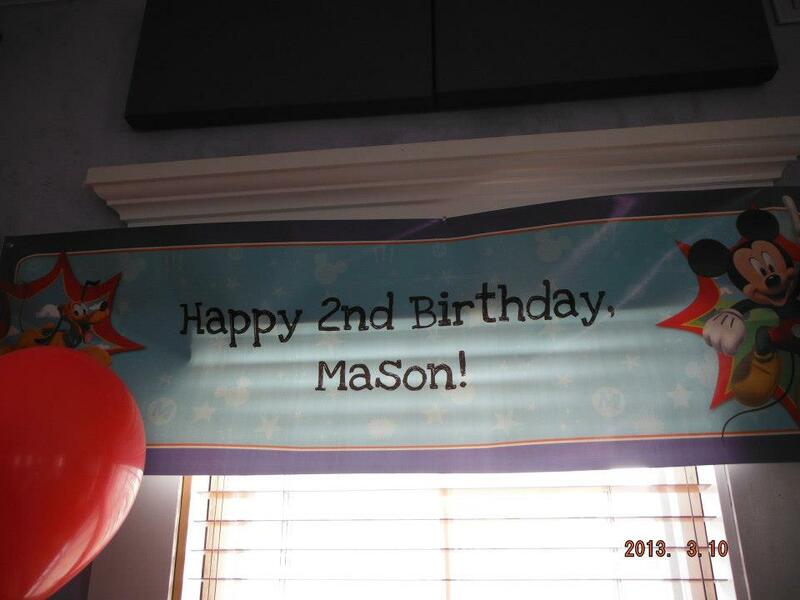 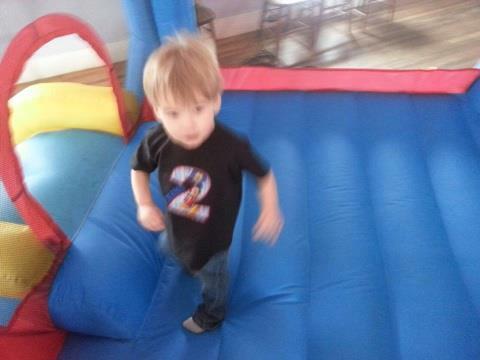 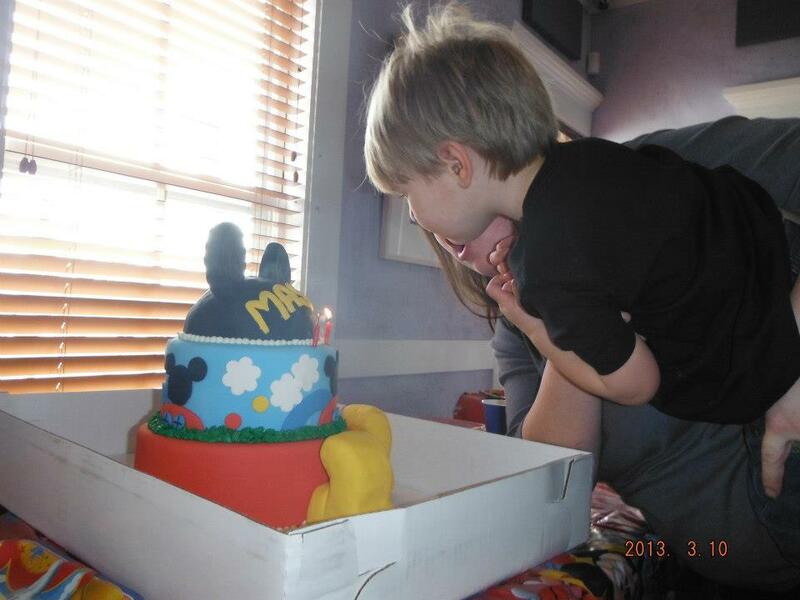 ♥ Mama 2 Multiples ♥: Mason's 2nd Birthday Party! 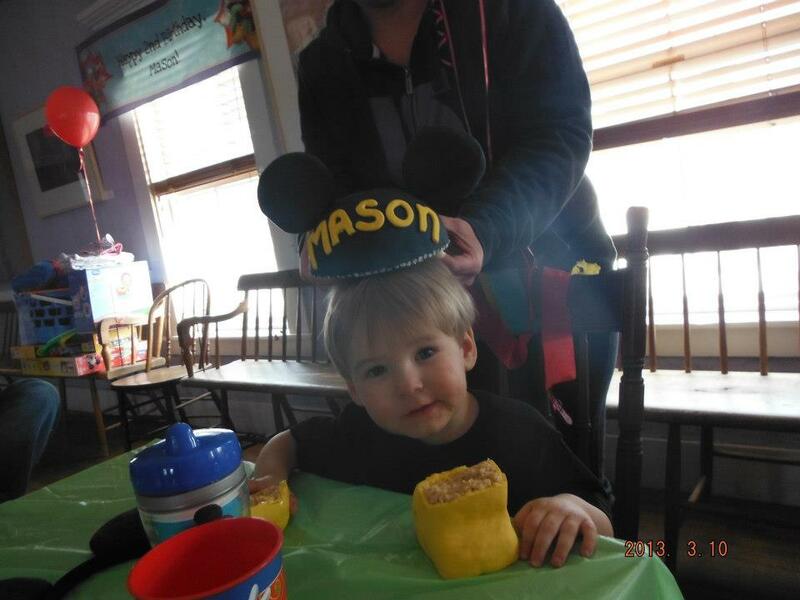 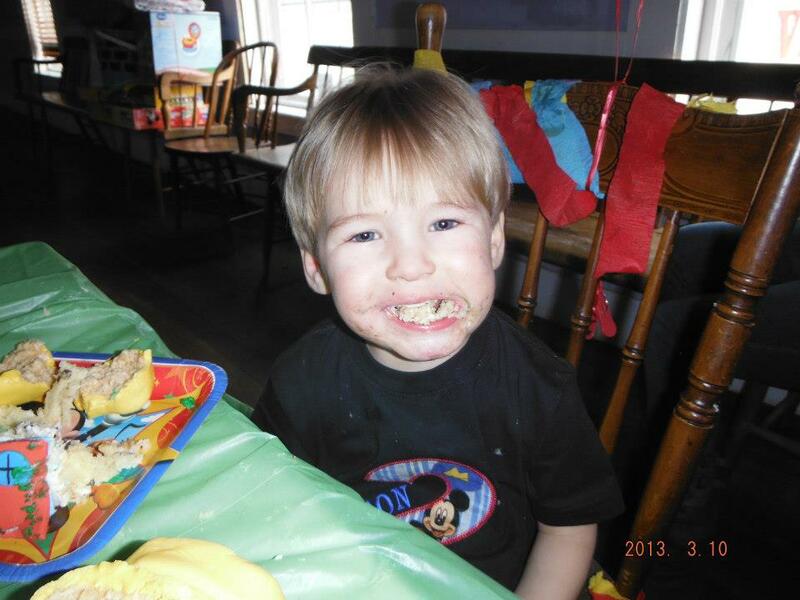 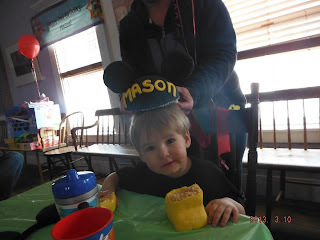 This past weekend, we celebrated Mason's 2nd birthday! We had his party at the same place we had the twins' birthday party back in January, at a local town hall-type place near where we live. 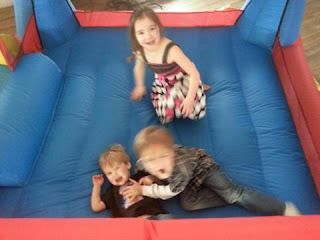 It's a great space and they have a bounce house and other kid friendly indoor toys, so it's great for a winter get together or birthday party! 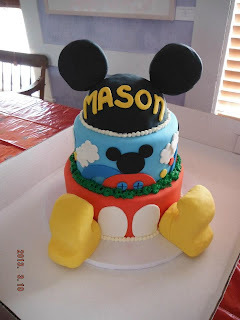 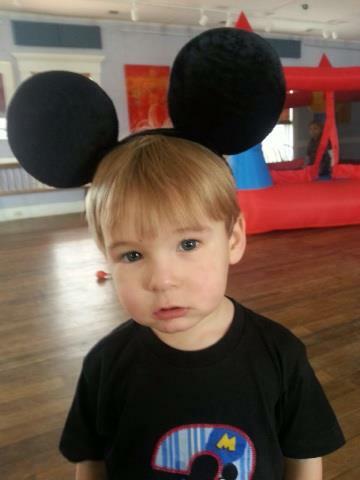 Mason's birthday theme this year was Mickey Mouse because he is absolutely in love with Mickey Mouse and Mickey's friends! I went that morning to set things up and decorate. 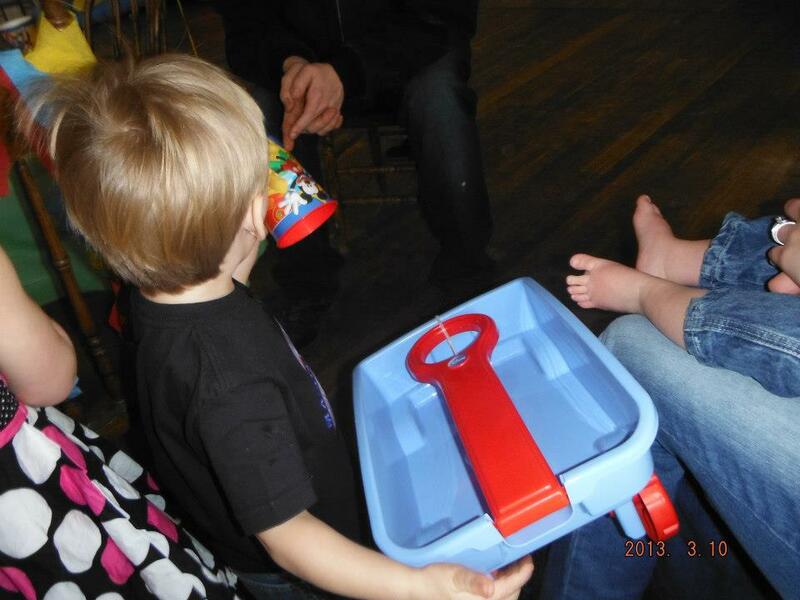 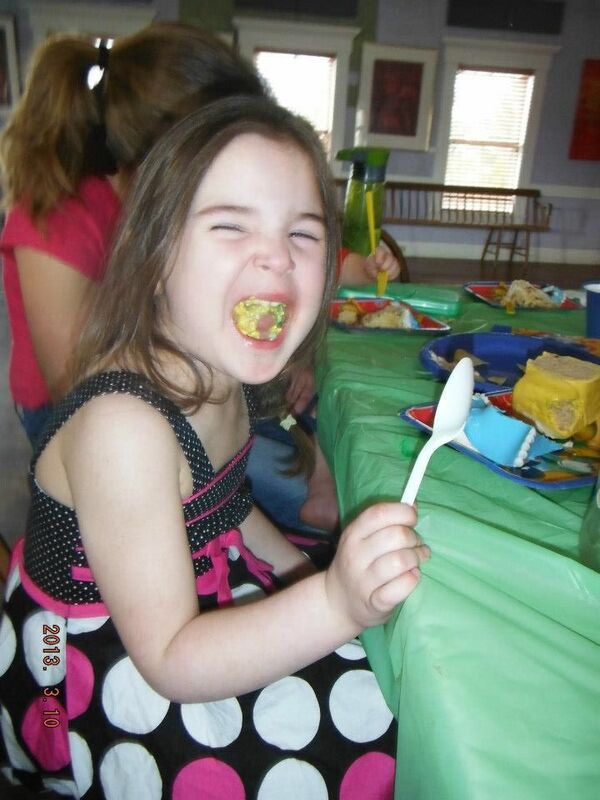 We had snack food, like veggies, fruit, chips, and dip. We also had juice, and I got an idea from Pinterest to do a Hot Diggity Dog Hot Dog Bar, which I thought was super cute and creative! 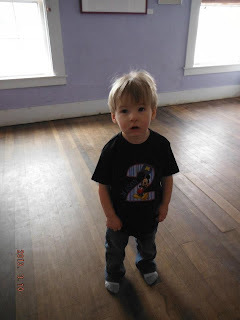 I got an awesome deal on decorations from an online website. 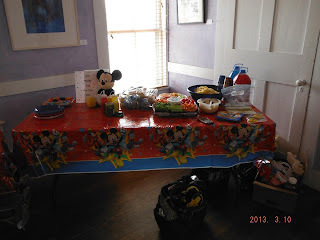 For only about $50 I got Mickey Mouse themed tablecloths, a centerpiece, streamers, balloons, napkins, plates, cups, plastic tableware, balloon ribbon, thank you cards, party hats, and even a personalized banner! 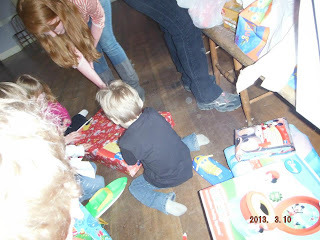 We had a small gathering of people, which is just the way we wanted it. 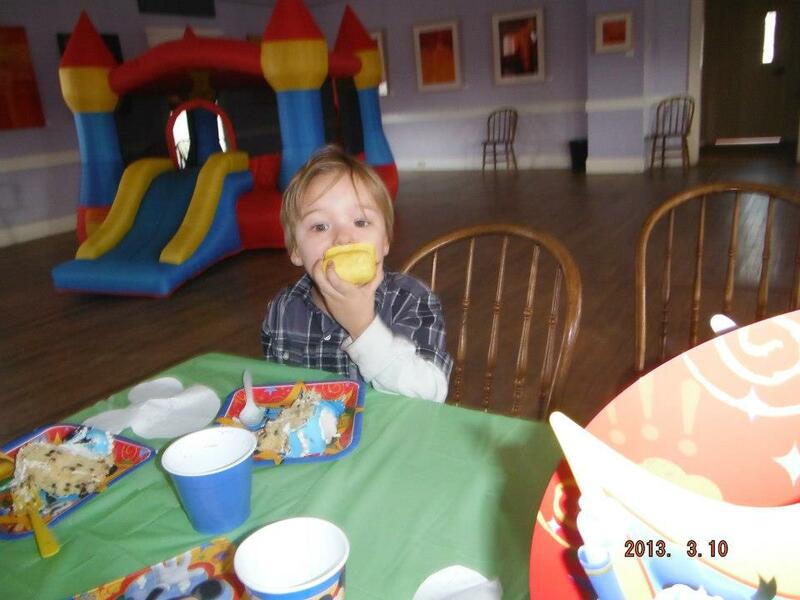 He's not yet old enough to tell me what friends from daycare he wants at his party, so there were no little buddies like there were at the twins' birthday party. 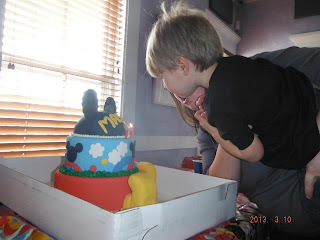 But he had his aunts, some cousins, and a couple close friends and their little ones, so it was plenty to celebrate his special day! 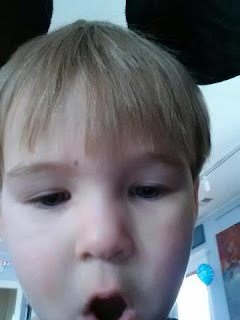 We had a small catastrophe when our friend's 18 month old took a nasty fall, split his lip, and knocked his tooth inward. Frank took them to the ER to get him seen, and all was well, thankfully! 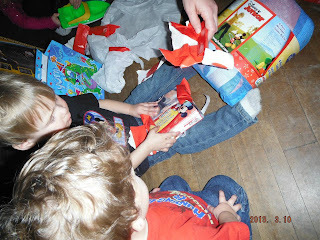 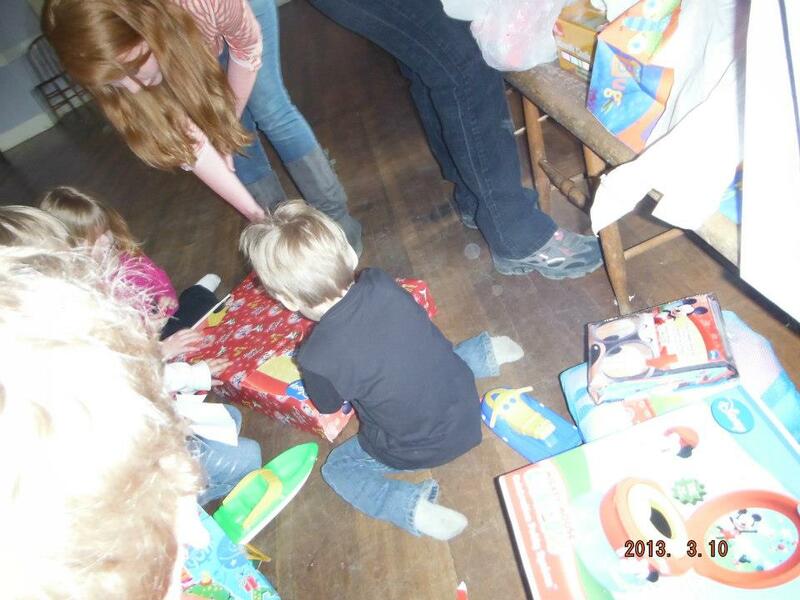 Everyone had a bite to eat, the little ones played in and out of the bounce house, and then it was time for Mason to open his gifts! 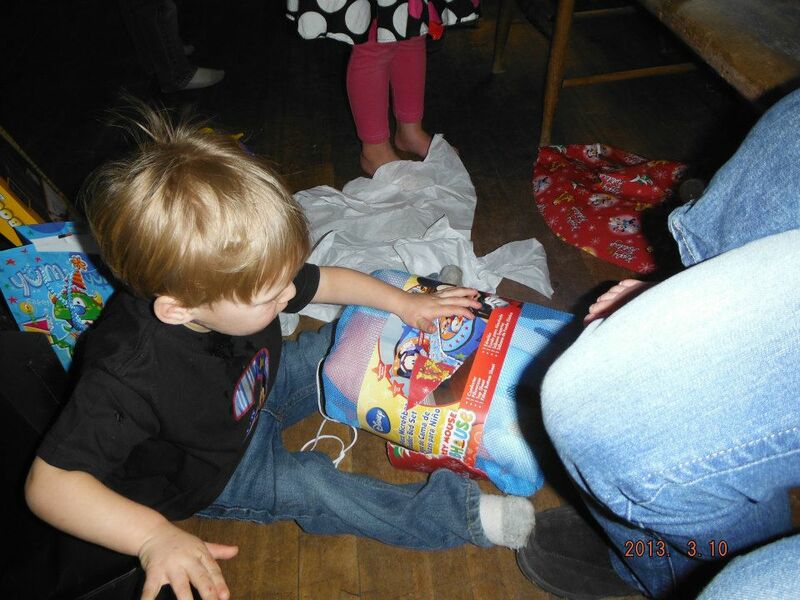 He got some super cool beach and sand toys from his aunts. 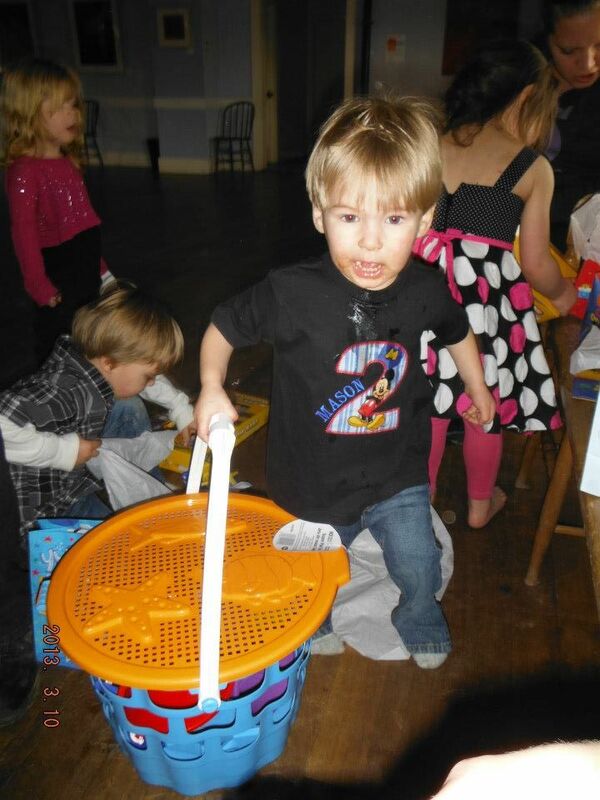 He was SO excited over them and was asking to go to the beach! 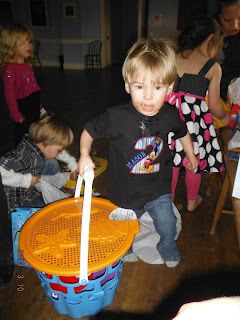 We have a sandbox at home too, so they will get lots and lots of use, for sure! 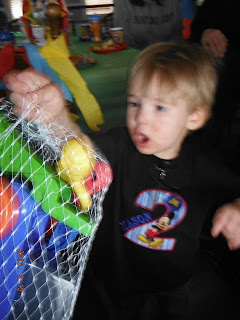 He got a little Mickey Mouse wagon, Curious George t shirt, and Mickey Mouse big boy cup from our friends, a Mickey Mouse couch from our other good friend, and from us he got a Mickey Mouse toddler tent bed, Mickey Mouse toddler bedding set, extra Mickey Mouse bed sheet and pillow case, Mickey Mouse potty, and Mickey Mouse toy box! 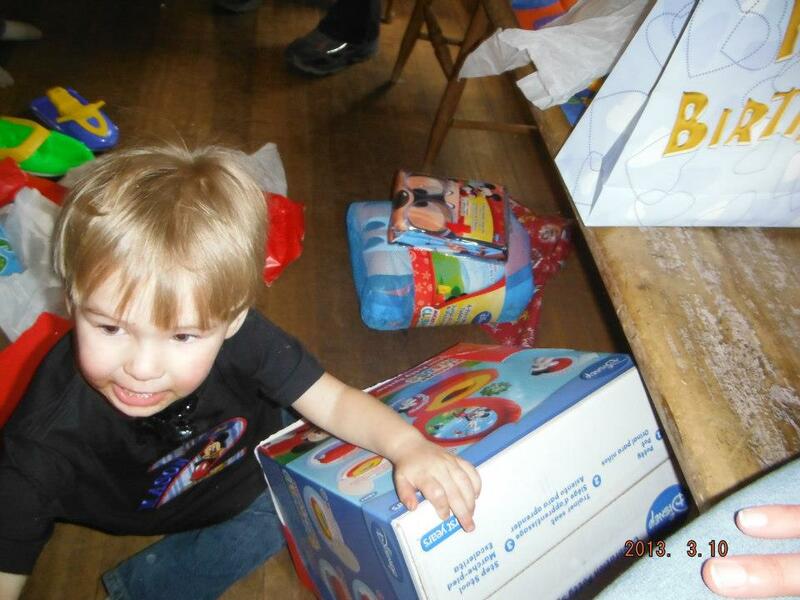 Needless to say, he was very, very happy with everything he received! After gifts were done, it was time for CAKE! A local bakery made his cake, and there was NO drama with the cake this time around, like there was with the twin's birthday cake! 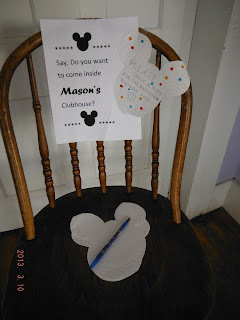 The Mickey ears and feet of the clubhouse were made from rice crispies, but the rest was chocolate cake. It was soooooooo delicious! 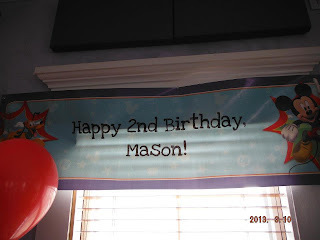 All in all, it was a great birthday party for our little man, and we are so thankful to have been able to do this party for him and make it so special for him. 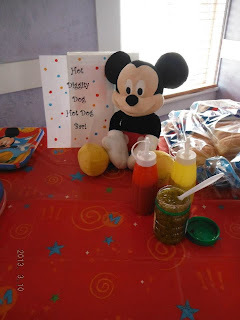 I love going all out for parties for my babies, because they deserve only the best of the best!